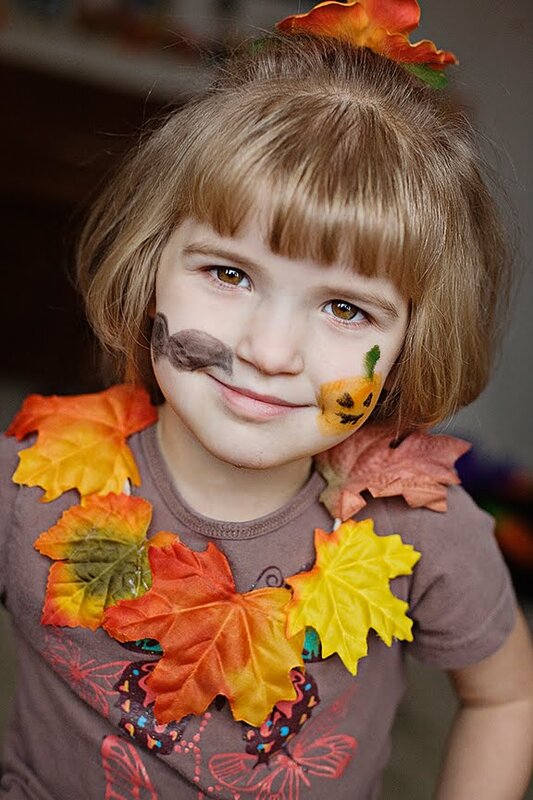 Orange and Black – It Works For Bobbi! Published on October 30, 2009 August 9, 2016 by Bobbi-Jo G.
What happened to my gorgeous girls?! They’ve transformed into….. these…. orange and black THINGS! WHY?! 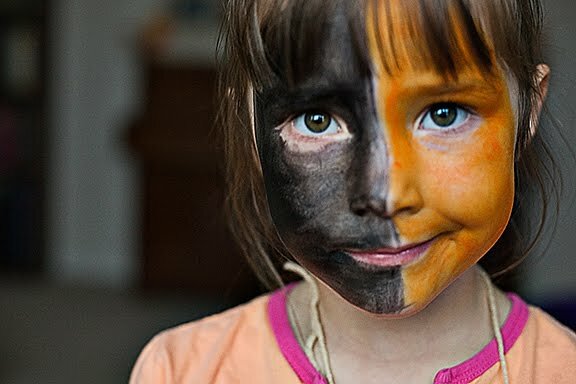 Well, for orange and black day, of course! 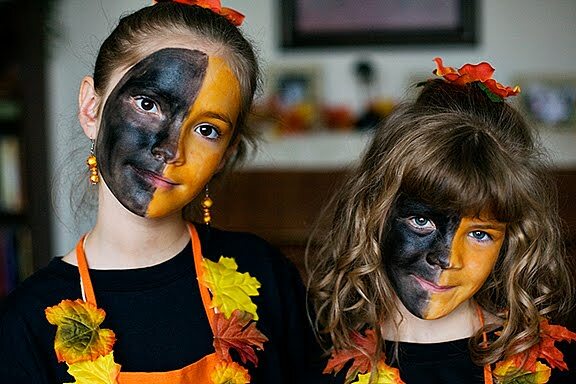 Because not everyone celebrated Halloween the school opted to have an orange and black day instead. They often have these fun “spirit” days throughout the year to foster school spirit and camaraderie among the students and teachers. FUN! 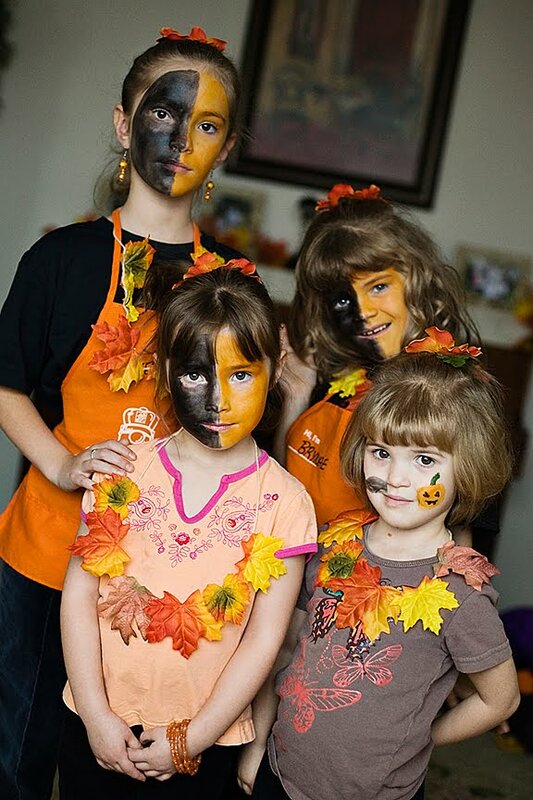 We didn’t own many orange things – guess it’s not ‘our’ color. In fact, the only orange clothing we had was one T-shirt and a couple of Home Depot aprons. That just wouldn’t do. While I was Michaels, I saw they had their leaf garlands on sale for $1.50. Nice! 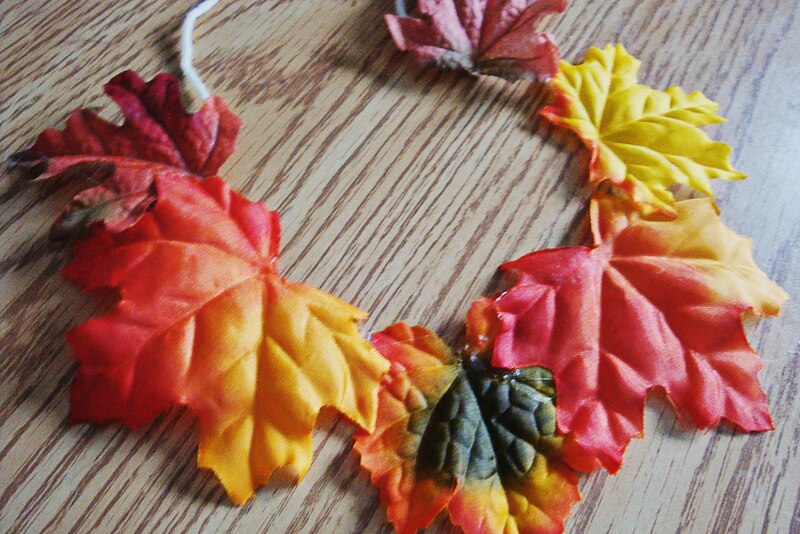 I bought a couple and glued the leaves to a peice of yarn to make some orange leaf necklaces. I know there was probably a better, cuter way to do this, but I don’t have time for better or cuter. I had time for this. These two were the real instigators of the face painting. They wanted to go all the way. Oh, and did you notice the orange flowers in their hair? I made them from silk flowers bought from the dollar store – $1 made 4 barrettes and I still had enough flowers left over to add to my scrapbook stash! I also made some orange earrings and bracelets from a kit from the dollar store. Big hit with the girls. Thrifty can be chic, right? Bayboo wouldn’t be left behind. Though hers barely lasted through the morning. She was still quite the hit in her class, though. JJ didn’t have school today, but I still let her join in the fun. We didn’t do the whole face, and it’s a good thing because within moments, it was wiping off everywhere! Only one more sleep until Halloween! Yay!! 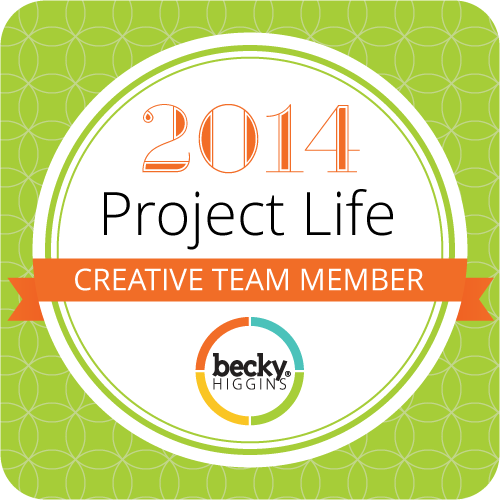 What are you giving away this year? We are giving away pencils. I learned my lesson last year when only 5 kids came to the door and we had 2 large bowls of candy left over. I knew I’d eat it, so most of it ended up in the garbage. If we have pencils left over… they can be saved until next year! We also bought those at the dollar store (packs of 10 for $1). Hope you have a good one! I think dressing up is so fun for the kids.. I love that they make it work for everyone. Are those the Home Depot aprons they are wearing? I have 2 myself and wear them often, hehe. What?!!! You threw the candy out??? Oh my! Too bad I didn't live closer. I LOVE to freeze mine and use it for pot luck desserts. Preheat oven to 325 degrees. Grease and flour a 12 cup bundt pan. In a medium bowl whisk together flour, baking soda, baking powder and salt. In a large bowl cream together butter & sugars until light. Beat in the eggs one at a time followed by vanilla. Working in two or three additions, alternate adding the flour mixture and the buttermilk to the butter mixture ending with the flour. Stir in chopped Halloween candies. Heat oven to 350 degrees. Stir together flour, baking soda and salt. Beat butter, sugar, brown sugar & vanilla in a large bowl with a mixer until well mixed. Add eggs; beat well. Gradually add flour mixture, beating well. Stir in candy pieces and nuts if desired. Drop by rounded teaspoons onto ungreased cooking sheet. Bake 9-11 minutes or until lightly browned. Cool slightly and removed to rack to cool. Makes about 5 dozen cookies. Line a 9×13 inch pan with foil that extends over the sides. Butter the foil. In a large saucepan, combine sugar, butter and evaporated milk. Bring to a boil over medium heat, stirring constantly. Boil 5 minutes, stirring constantly. Remove from heat. Add chopped candy and blend until smooth. Stir in walnuts and vanilla. Pour into prepared pan. Cool to room temperature. Score fudge into 36-48 squares. Refrigerate until firm. Remove fudge fromp any by lifting foil; remove foil from sides of fudge. Using large knife, cut through scored lines. Oh! And those left over Reece's Peanut butter cups make the most amazing SMORE'S!!! Wow- great recipe's Lynn thanks. Bobby- your girls look great! Love the orange and black.